As you have most likely heard, the USA Gymnastics Board of Directors accepted the resignation of Mary Bono as interim president. We take full responsibility and apologize for the missteps that occurred and for the distraction this has caused – particularly when the focus should be on our athletes as they head off to Doha to compete in the World Championships. We also want you to know that we, as a board, are committed to taking action – even when it means changing course – to respond to the needs of our community. 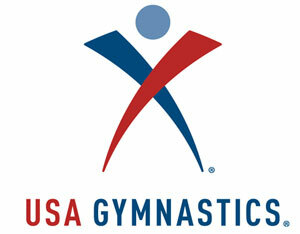 During this period while we are recruiting a new leader, our board will be very involved in the day-to-day operations, and we will continue to have our management committee – made up of independent, membership and athlete directors - overseeing the operations of USA Gymnastics. The Board – taking into account the lessons learned from the most recent events – will review potential interim solutions to address critical management functions until a permanent CEO is identified. Our search for the next president and CEO is underway, and we are currently seeking input from the gymnastics community on the qualities and attributes desired in our next leader. We remain steadfast in our efforts to fundamentally transform the organization. Athlete safety and well-being at all levels of our sport are at the heart of everything we do. Spencer Stuart, one of the leading executive recruiting firms, is actively identifying potential candidates, and we are confident we will identify a new leader who can help us fulfill our mission. We will keep you updated on its progress. We know this has been a difficult time. It is a time of significant change and significant learning. But we are confident that by working together, we can chart a new course for this organization that better serves the entire community and improves the culture that surrounds our sport. As always, we invite your input and sincerely value your support. In the meantime, we look forward to cheering on our men and women as they compete in Doha later this month.